Note: This feature is available in Icegram Engage Max plan. Step 1: You install Icegram Engage Max on your main WordPress site (where you also have Icegram and other addons). 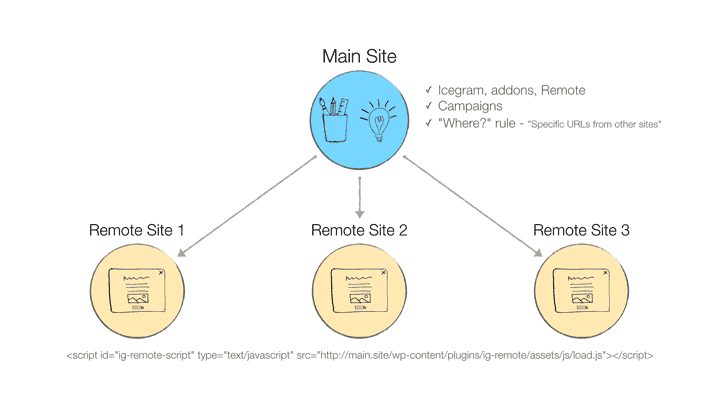 Step 2: Configure a campaign to show on remote sites – add remote URLs where you want to run this campaign. Step 4: That’s it! Sit back and watch the results now!